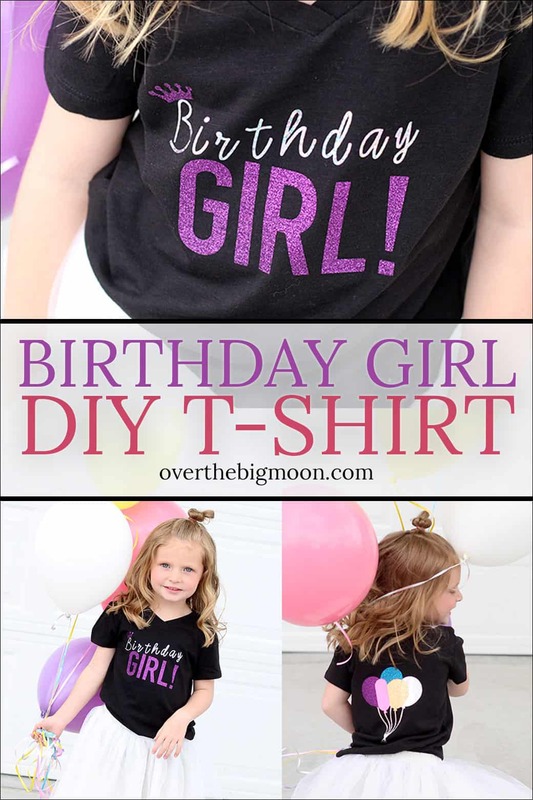 This cute Birthday Girl T-Shirt is a fun DIY for you to make for your little girl! 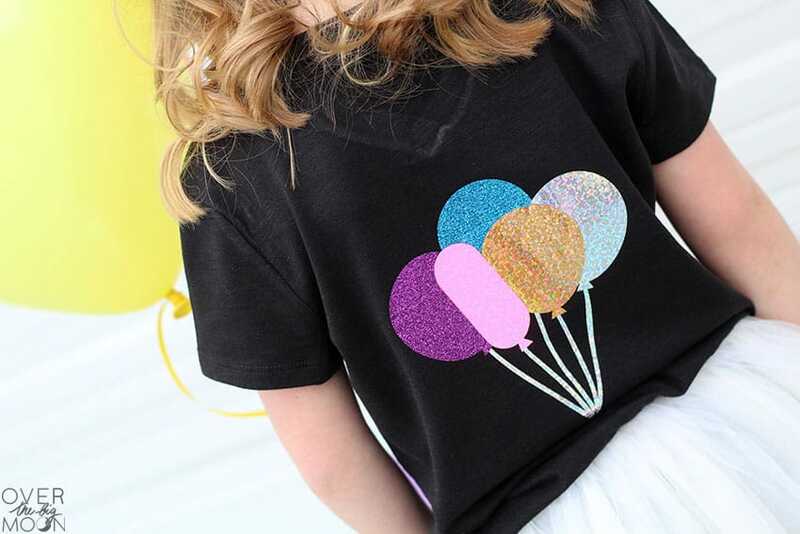 Using holographic and glitter iron on is perfect way to make this shirt extra fun! 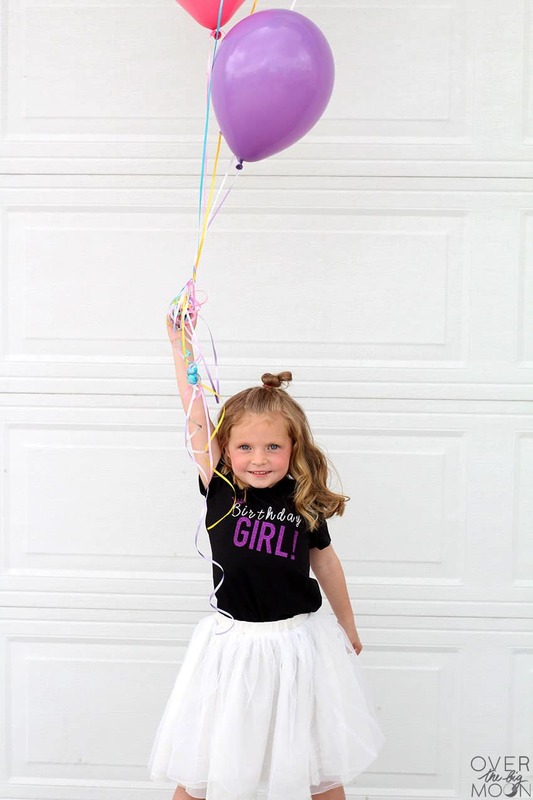 My baby girl has a birthday this month! Can you handle that cuteness? I can’t stand how big she is getting! 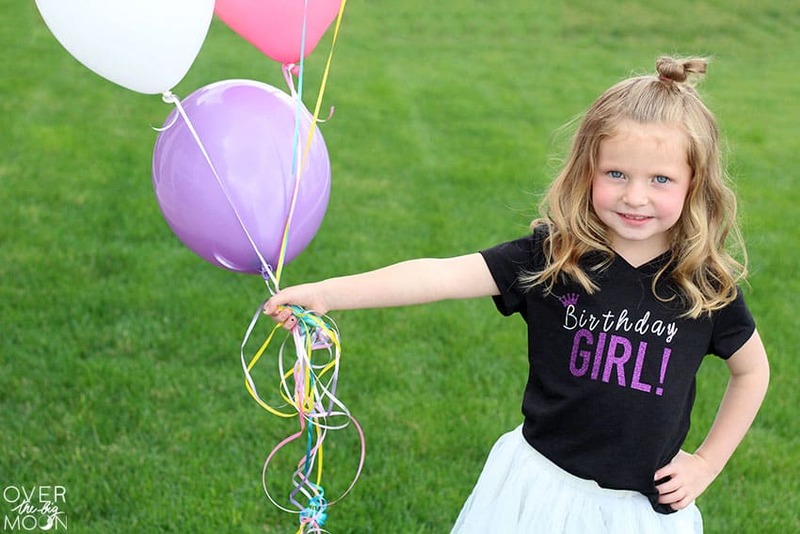 Her little personality is the best and she is constantly entertaining our entire family! 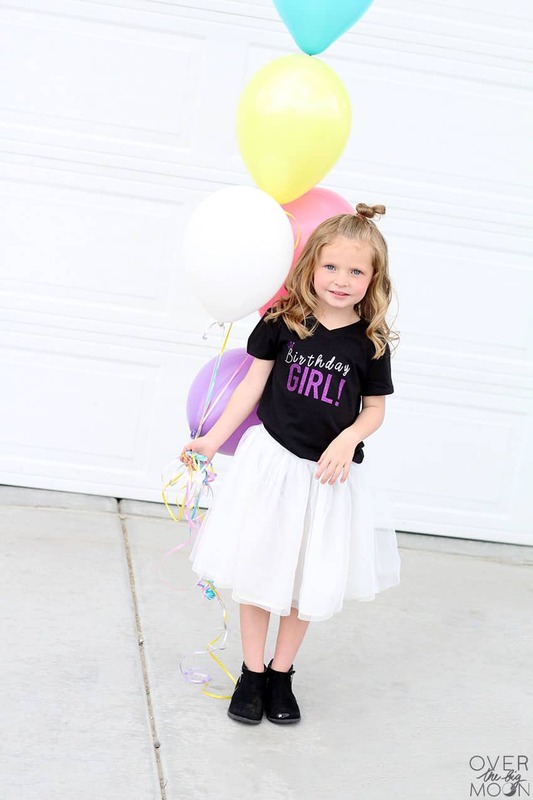 birthday party this year and she is literally counting down the days! 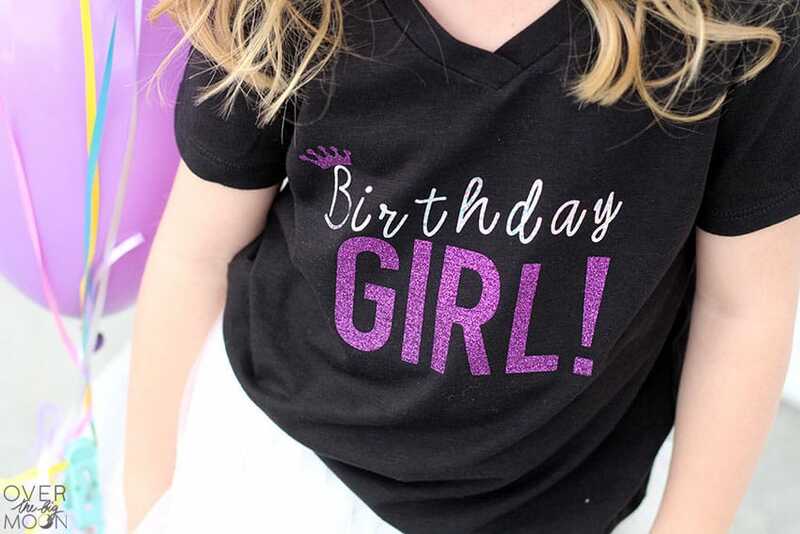 So, I decided I’d make her a little bday shirt to wear for her party and on her birthday! I am so excited about how it turned out! 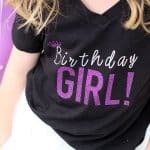 Best part is that it was sooo simple to make and today I am going to share with you how to make it using your Cricut cutting machine and Cricut EasyPress! 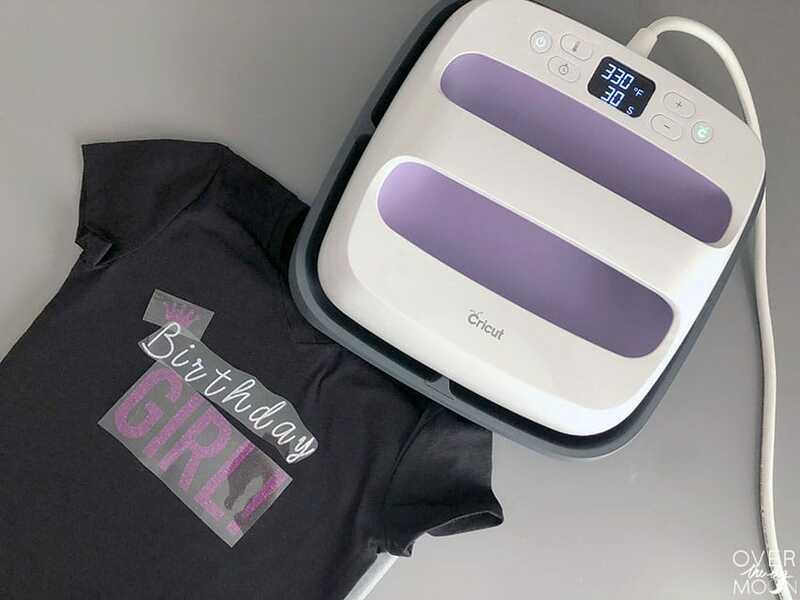 I used my Cricut Wisteria Explore Air 2 Bundle and my Cricut Wisteria EasyPress Bundle to make mine! 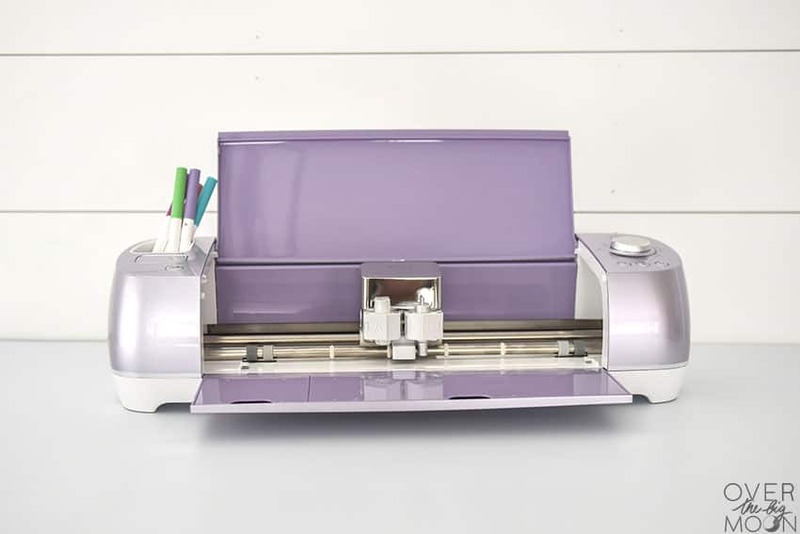 I shared more details on the Cricut Wisteria Explore Air 2 Bundle a few days ago when I shared my LOL Surprise Doll Organizer, so if you’re interested in learning more about that, head over there! 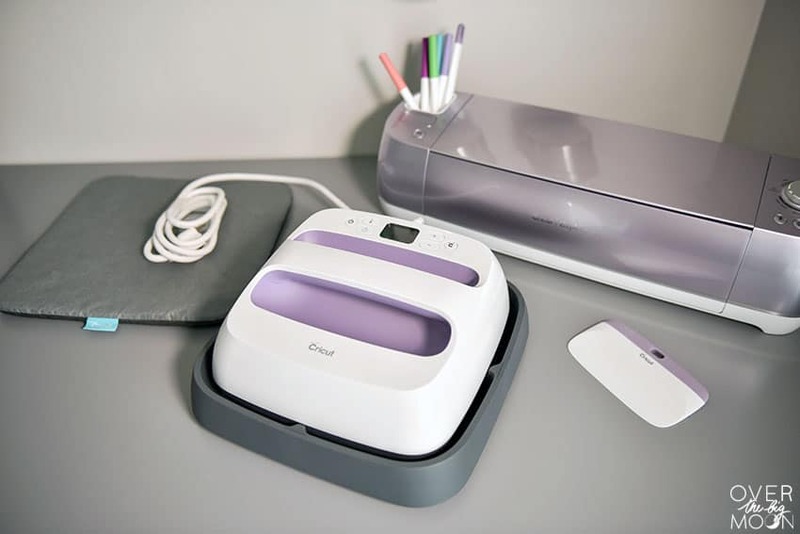 Today I want to highlight the Cricut Wisteria EasyPress Bundle and the EasyPress Mat! 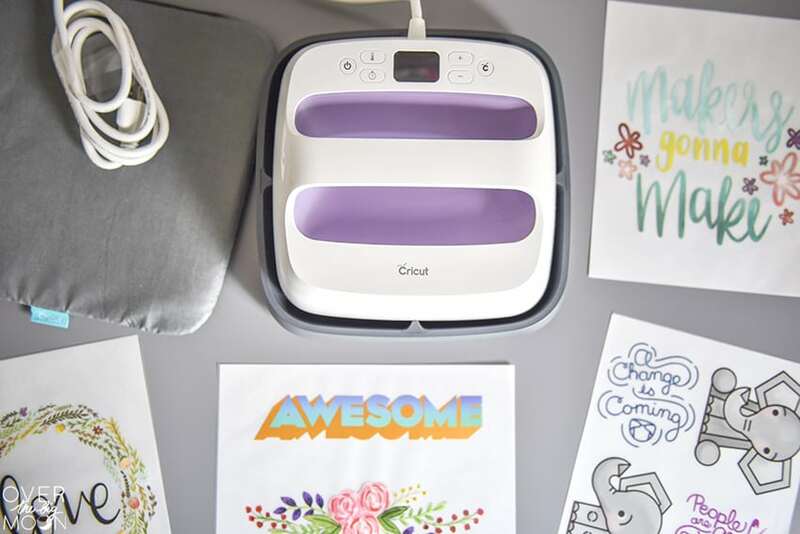 The Cricut Wisteria EasyPress is exclusive to JOANN Stores and is not only so cute, but in my opinion a must have if you love to use Iron On Vinyl! It’s first of it’s hand metallic shimmer fits perfect with this years Pantone color of the year, Ultra Violet! It adds such fun color to an office or home! The heat plate is 9″x9″, so you get a lot more heat surface than you do with a traditional iron. Also, an iron doesn’t have consistent heat all over the heat plate. There is a 200 degree variance along the heat plate of an iron. With the EasyPress you will only get a 10-20 degree variance. What does that exactly mean? It means you don’t have to move the EasyPress when applying the heat. Just put it over the Iron On Vinyl, apply light pressure and star the timer! 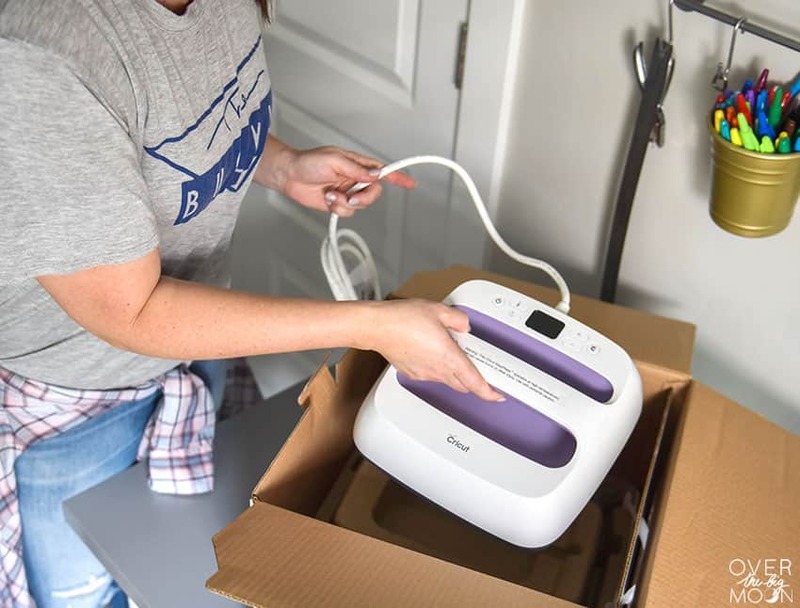 Plus, the Wisteria EasyPress is lightweight, portable and easy to store. 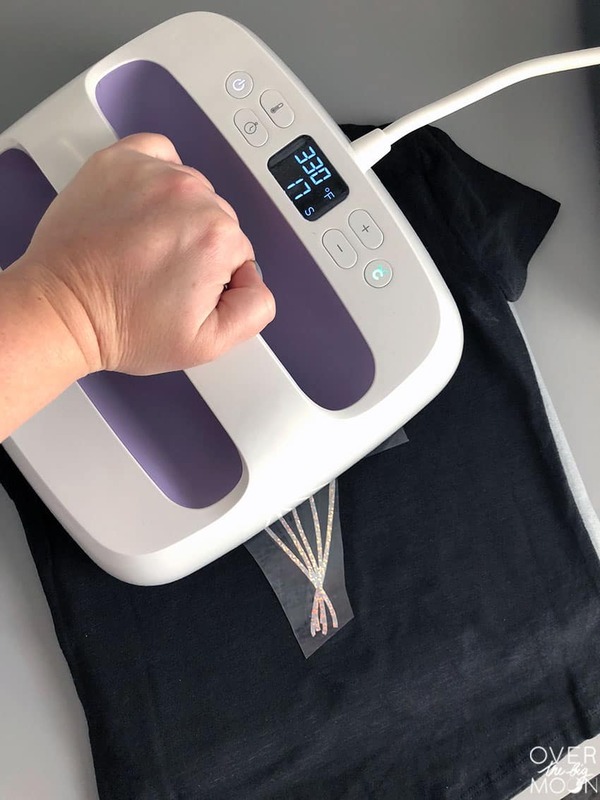 It really takes the guess work out of any Iron On projects you will be working on! 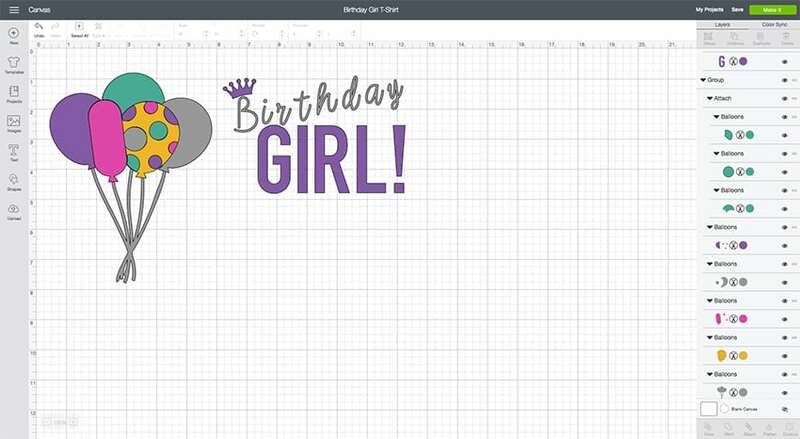 Open the Birthday Girl Design Space File HERE! 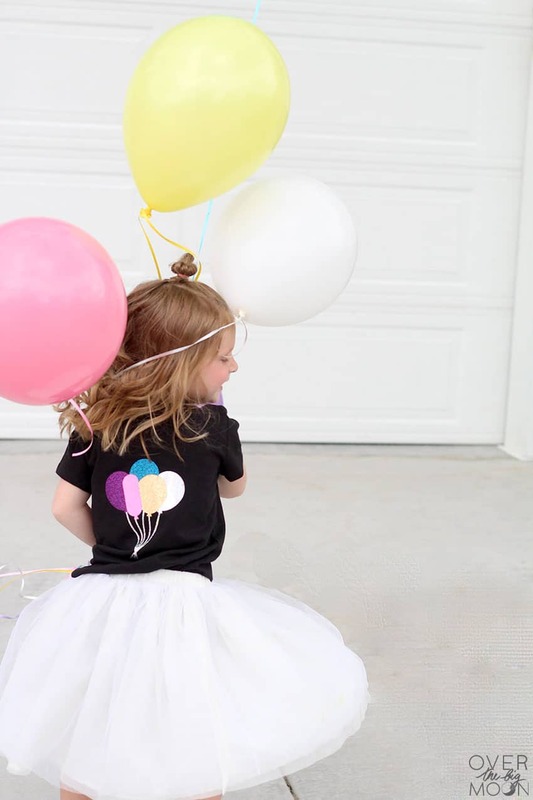 The design is a TINY different then what I applied, but I decided to leave it this way, so that anybody recreating this design has the option to put the polka dots on the yellow balloon. 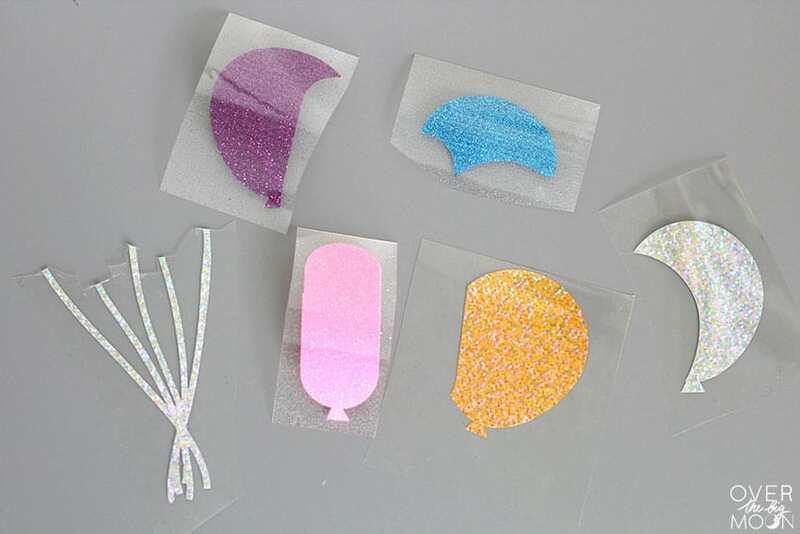 The reason why I omitted the polka dots on the yellow balloon is because it is not recommend to layer either holographic iron on or glitter iron on. So, after the layers were cut, I just disposed of the dots! Measure the area on your shirt that you want the design to go. Adjust the size of the design within design space, so that it will fit the area you want to cover on your shirt! You can also adjust the colors at this time! 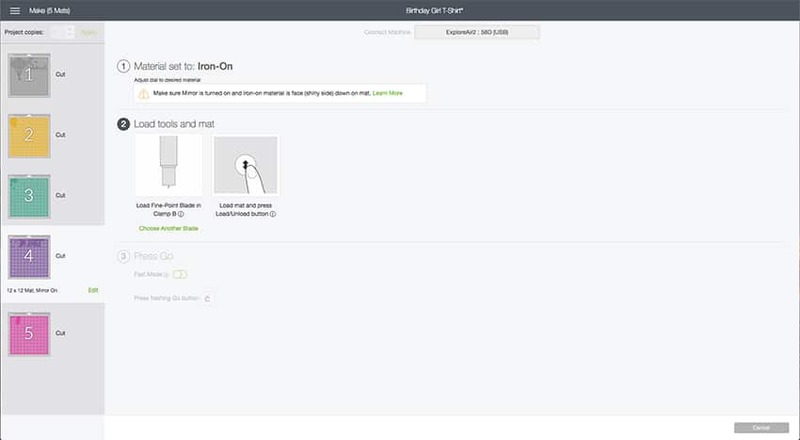 After you’ve made changes to your design, then hit the ‘MAKE IT’ button in the top right hand corner. Once you get to this screen, first make sure that all the mats look correct! Then on EACH LAYER, make sure to turn the MIRROR IMAGE on! You must make sure that the image is mirrored, so that when you go to apply it on your t-shirt, the design looks correct. Next make sure your Cricut Wisteria Explore Air 2 Machine Dial is turned to Iron On. It will then remind you to check that all your mats are mirrored and to make sure that your iron on is applied on the mat SHINY SIDE DOWN! After all your mats have been cut, then go ahead and weed the excess iron on and cut around your images. Because you can’t layer holographic or glitter iron on, I went ahead and trimmed the silver holographic balloon image, so that only the strings were left! That way I could just place the balloons on top of the strings and not overlap anything! Next, get your Cricut Wisteria EasyPress ready! 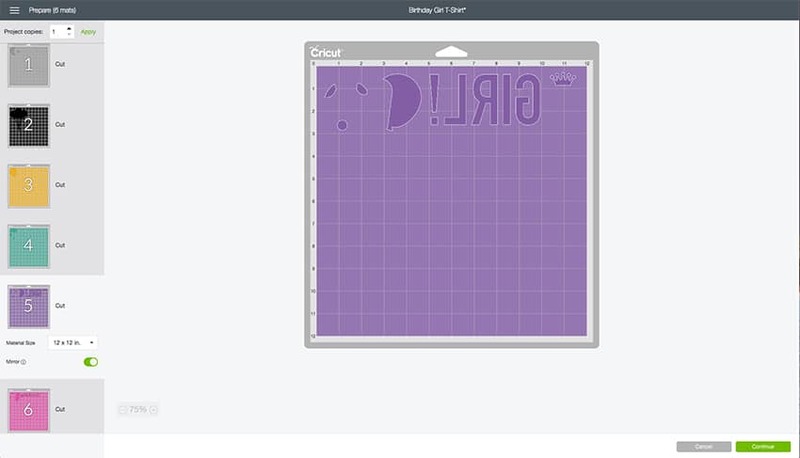 Always reference the Cricut EasyPress Recommended Settings page to find out the heat setting and heat duration you need for the Iron On you’re using. 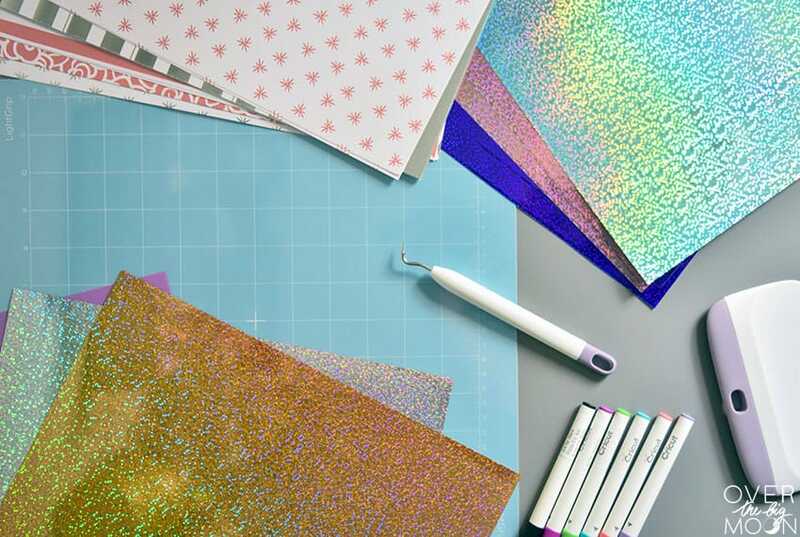 The page recommended 330 degrees for 30 seconds for Holographic Iron On and 340 degrees for 30 seconds for Glitter Iron On. So, I went with 330 degrees and just held it a little longer for the Glitter Iron On. I just wanted to to make sure not to overheat the Holographic Iron On. In between the layers, allow to cool for a few seconds and then WARM PEEL. Always make sure you put the plastic protective sheet back over any layers you’ve applied, before applying heat on them again. For the first few layers I don’t apply the heat for the full 30-40 seconds, because I knew that I was going to be applying more heat. I just applied enough heat to make sure the design was sticking. I think it turned out soo cute and my daughter loves it! Looking for some other fun t-shirt designs?